Eye Opening- Easy Read. 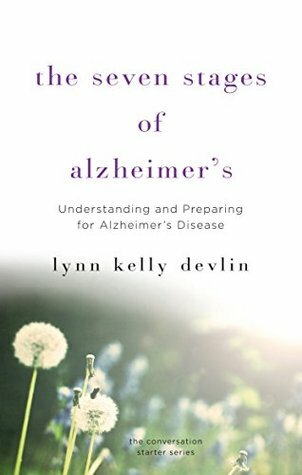 Good First BookAs my first book on Alzheimer's and Dementia it was an easy read. It flowed very well. Was very informative and easy to read and understand. It is not a medical journal about the disease but a good first read for someone who's loved one has onset Dementia. Explained the seven stages very well. Should really be called a pamphletWhile decent information was included, there really wasn't anything new. I had been taught there were four stages of Alzheimer's. As a caregiver, I thought maybe there was new information I wasn't privy to. Lynn Kelly Devlin - Lynn Kelly Devlin is a nationally board-certified Hospice and Palliative Care nurse practitioner who lives and works in New Hampshire. She often speaks to health care professionals, corporate audiences, students, and small groups about end-of-life issues.